Manage users by team, office or departments. Grouping employees enable you to keep your account organized and is an excellent option for any business, big or small. You can also use Groups when you are assigning Projects to a large number of users or a specific team or department. With Timeero, it is incredibly simple to group your employees by team or department using our Groups feature. Enter a name or title for the group and click Add Group to save it. 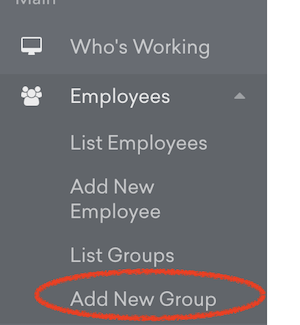 Go to Employees > List Groups. Click on the eye icon to view the list of users in the group. In the create or update user page, select a group to assign the user to and save your changes.